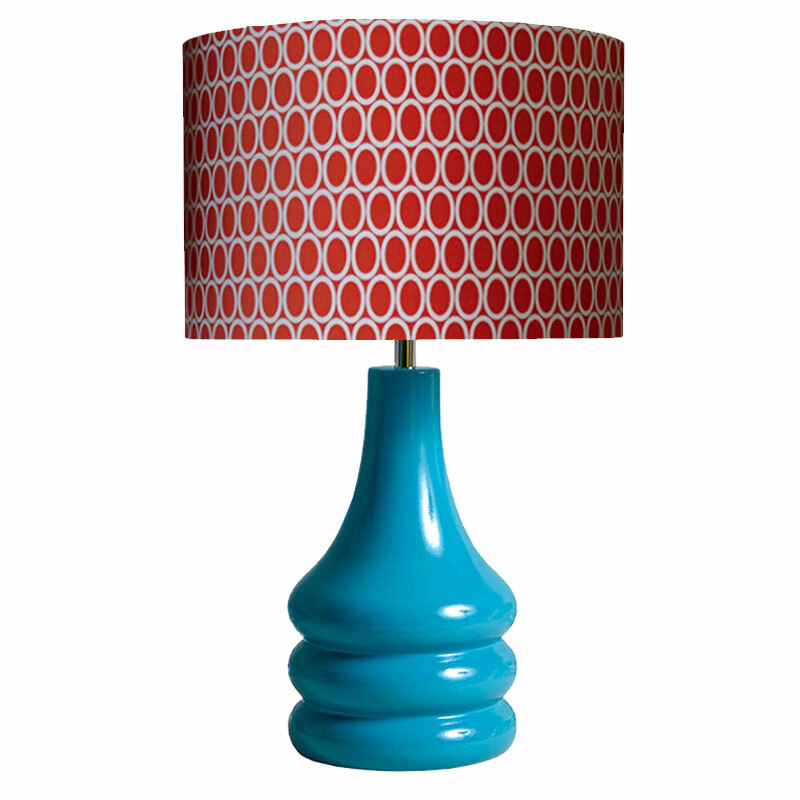 One of our most popular lampshade designs, combined with this fabulous retro ceramic table lamp; what's not to love! Dimensions: Ceramic Base - H27cm x W16cm. Lampshade - H21cm x D30cm. 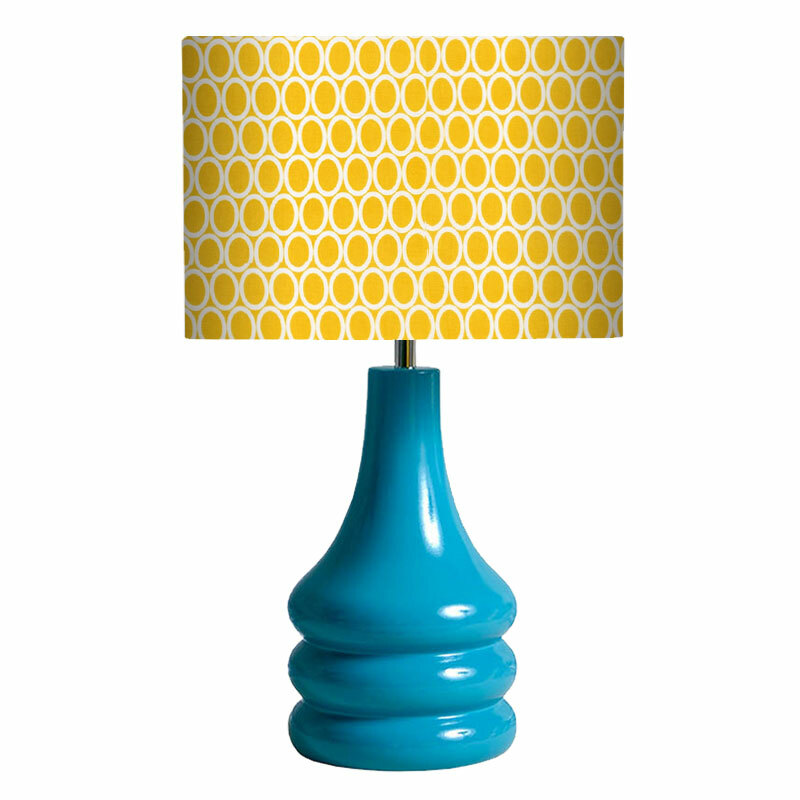 Switch: Switched Lampholder. Requires: BC GLS (bulb not supplied). The lampshade is handmade to order in our UK Workshop. Please allow up to 2 weeks for delivery. 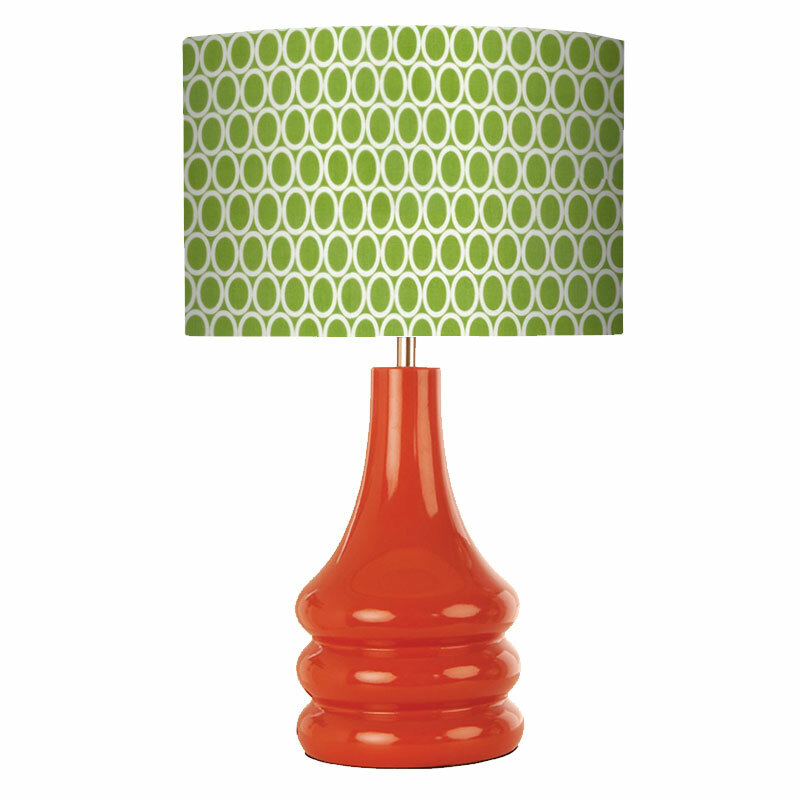 One of most popular lampshade designs combined with this fabulous retro ceramic table lamp; what's not to love! Dimensions: Ceramic Base - H27cm x W16cm. 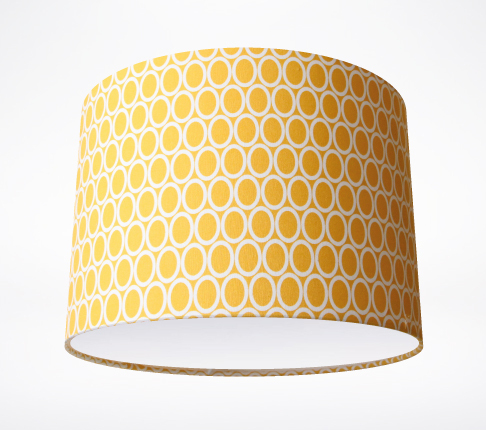 Lampshade - H21cm x D30cm. 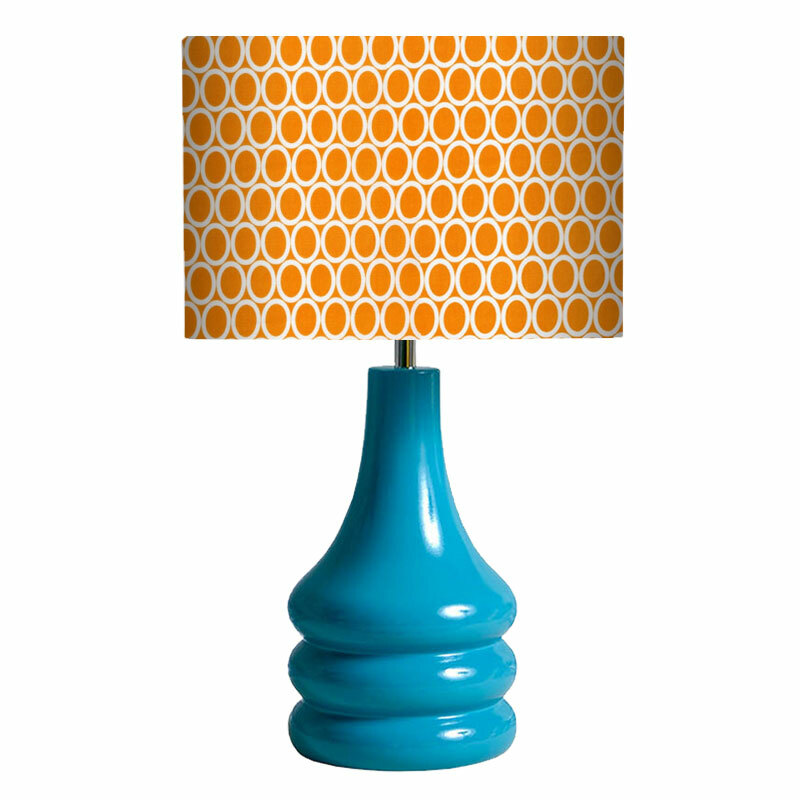 Switch: Switched Lampholder. Requires: BC GLS (bulb not supplied). 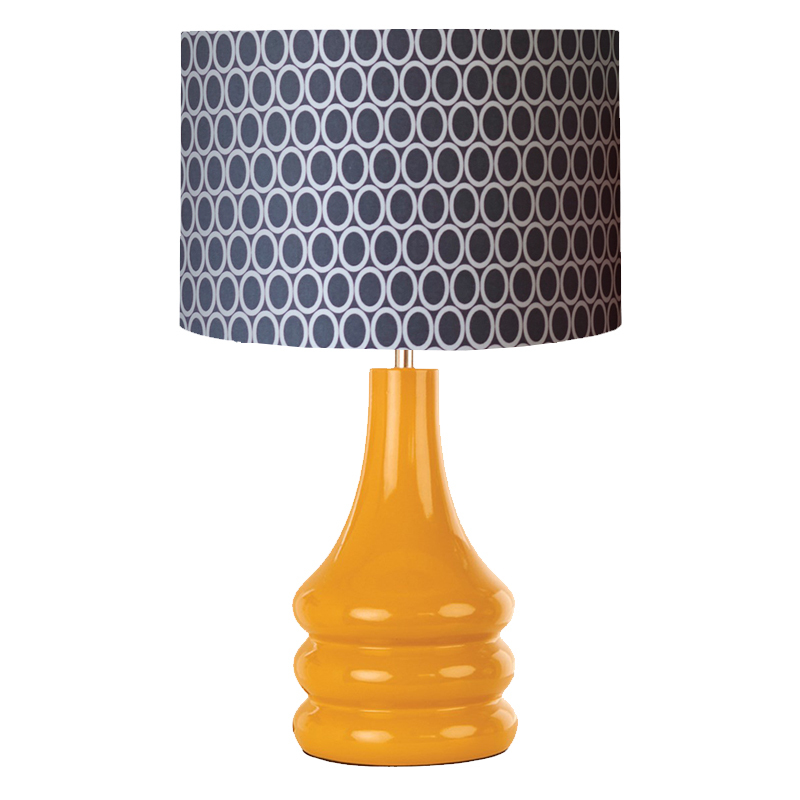 The lampshade is handmade to order in our UK Workshop. Please allow up to 2 weeks for delivery. 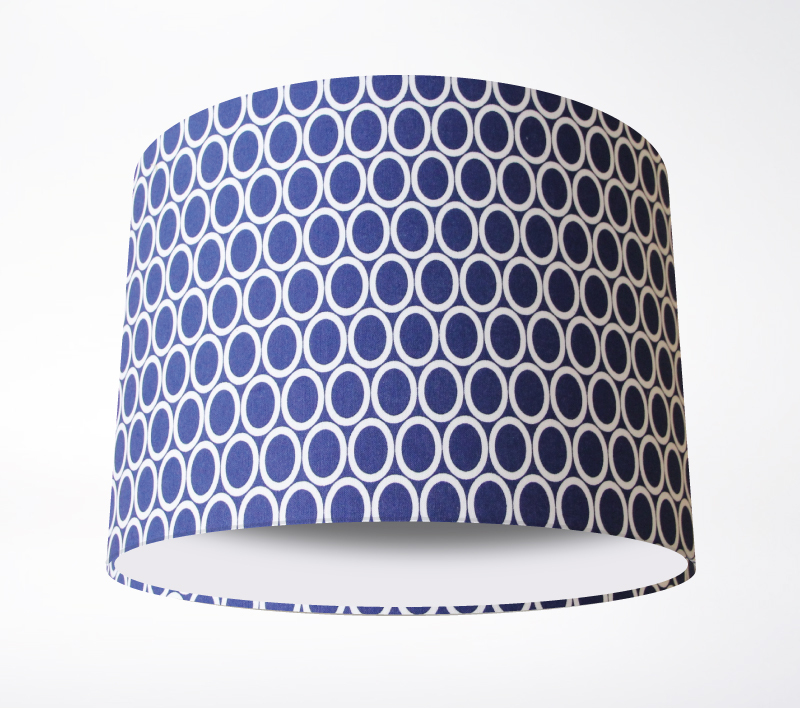 A very endearing and subtle oval repeat lampshade with lots of possiblities for contrasting or matching within rooms.